Water Damage Lindenhurst Pros Available 24/7! 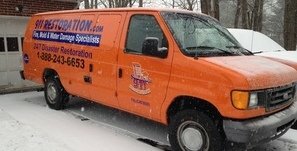 Water damage and its aftermath have the potential to completely destroy the inside of your home which is why our water damage Lindenhurst team at 911 Restoration Long Island is standing by and available 24/7/365 to come to your home to provide top-quality water damage restoration services in the event of any emergency. At 911 Restoration, we are committed to making sure something like this doesn’t happen again by providing our Lindenhurst area customers with not only the best service, but also the best support during such tough times. Additionally, we use only the best, latest state-of-the-art water extraction technology to ensure that a small water damage problem doesn’t quickly turn into a larger health issue like mold. For the industry leaders in not only water damage restoration, but also mold remediation, and other services, call our water damage Lindenhurst team with 911 Restoration Long Island today! Our water damage Lindenhurst experts know from years of experience that any amount of water allowed to pool over time has the strong potential to grow mold, even a small amount. And while mold may not seem like a big concern to the average person, it’s actually a serious health hazard that should only be dealt with by professionals trained to completely eliminate all traces of the infestation. Mold spores and general fungus infestation have the potential to create a toxic environment for you and your family. Once inhaled, mold spores can cause congestion and respiratory problems in those who are very young, elderly or those with weak immune systems. That said, it’s important to have our water damage Lindenhurst team inspect your entire home, free of charge, for undetected mold growth. The key with mold is to try avoid it growing in the first place because many homeowner’s insurance plans actually don’t cover mold that has already begin to form, so for your free inspection call 911 Restoration now! According to our water damage Lindenhurst experts who regularly reference the Insurance Information Institute, insurance does in fact cover water damage, but only in certain circumstances. For example, common problems that begin from inside the home are usually covered. These include things like water heater leaks and ruptured washer hoses. As long as the problem wasn’t due to negligence on your part, your claim should be covered. However, there are other factors to consider too. Homeowner negligence for instance, which includes acts like flushing an object down the toilet drain, will almost always result in an uncovered claim. Also, flooding due to outside forces like natural disasters also requires supplemental coverage in the form of a flooding policy. With all of this information to digest, it’s important that you work with a trusted water damage company that can explain the specifics of your individual plan to you. With over 35 years of experience in insurance, our water damage Lindenhurst team is perfectly equipped to help you deal with your insurance company. And even if your claim isn’t covered, we’ll go above and beyond to ensure that the price we give you puts a smile on your face. It’s this very commitment to putting the customer first that makes our water damage Lindenhurst team with 911 Restoration Long Island by far the best around, so call us today!